Welcome party guests aboard your bachelorette bash with a themed treat! 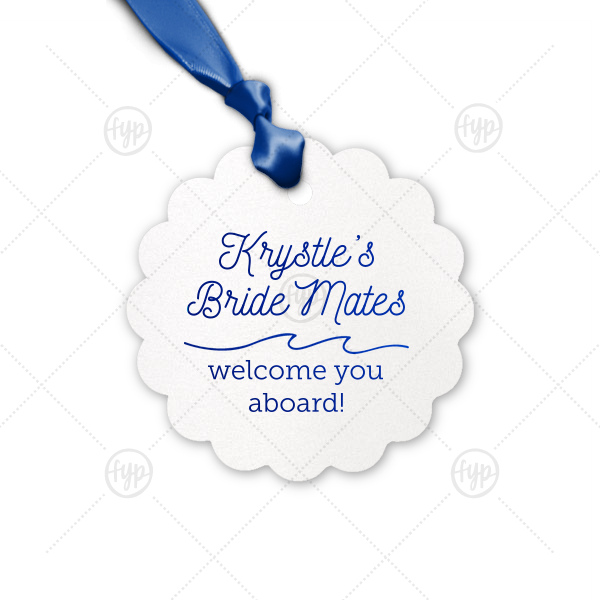 Be it a snack, drink or preemptive hang over kit, tie your gift with a custom Bride Mates tag. Made of shimmery white paper with Royal Blue foil, this party detail is perfect for a boat, ocean or sailing theme.